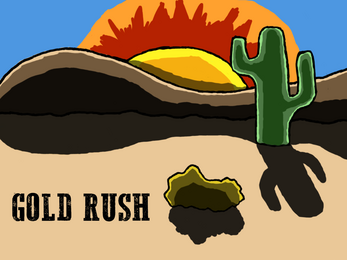 In this Game you wander around in the desert in search for gold. You also need to find water to say alive. The more gold you have the slower you move. I am currently a student of game programming. This is a game that I made in my free time. It is short has very little content, and it took me far too long to make. This is my first game, and I was just trying to finish something. Hopefully my next game will be better. Just unzip it then run the .exe. Then after playing, right click and select "Delete".